The Good Morning Man by Paul Loewen is a touching story about a young girl in a small town that just seems to have problem after problem piling up and she doesn't know who to turn to for help... until she meets the Good Morning man. The main character, Asia, is a twelve year old girl. She is interesting and her approach in the story is one of innocence and a child's understanding of the world. For the most part I thought Paul stuck very well to keeping her sounding like her age while still bringing in the deeper aspects of the story. Asia takes us through the lives of people in the small community and allows us to meet the enigma that is the Good Morning man. He is a mystery throughout the story. He brings cheer and healing wherever he goes but is it because of his good outlook on life and friendliness, or, as he puts it "sometimes people just need someone to listen"? Or is there something more going on beneath the surface? I especially loved how Paul Loewen writes the town. From the very first description I felt as if I was right beside Asia making my way past "The Other Place" and the second hand store. The dialogue in the story was, at times, stiff. But When it was it was usually because of an adult to child conversation and fit into the situation. When there was peer to peer conversations they flowed well and the dialogue seemed to fit the age group. Paul Loewen writes a fantastic book with characters you can relate to, a very real feeling setting, and a touching story to tie it all together. 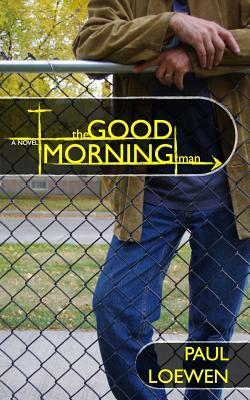 The Good Morning Man is religious story, with religious themes throughout the book. I thought it was well done, incorporating some bible stories and bringing up faith conversations when they made sense. I never felt as if it was being forced in. However, I did feel like a couple times it did border on a little bit preachy. I'm giving The Good Morning Man 4 out of 5 stars due to a couple small formatting issues, and the occasional preachy feel. That being said it is a fantastic book and very touching. I highly recommend this book. In her small town, nothing interesting ever seems to happen. Until now. Twelve year-old Asia watches as her world crumbles around her. Everyone seems to be sick or hurt. But she can feel the tides turning as things are changing. Convinced that something is wrong with this world, she sets out to figure out why, suddenly, so many things start going right.